“Since the founding of PilotFish Technology in 2001, we have experienced rapid growth and widespread acceptance of our products and services. As our clients will attest, we have maintained a perfect track record of successful, on-time, on-budget implementations and as such we have received a near perfect score of 99% from our customers in the independent study by Novarica in their ACE (Average Customer Experience) Report. At PilotFish Technology, we are both the developers and users of our integration products. The XCS Toolset, XCS eiPlatform, XCS eiConsole and XCS Dashboard were all conceived, developed and enhanced in response to the specific needs of our integration specialists working on actual projects. Today, many of the largest companies in the world have come to rely on our products and services and value our expertise. At PilotFish Technology, we focus on Java, J2EE, XML, Web Services and related e-commerce technologies; yet possess a fundamental understanding of the legacy systems still prevalent today. While many might argue that the older legacy systems are obstacles to exploiting Web Services, standards-based communications and other e-commerce technologies, we have shown again and again, without exception, the ability to unlock the enormous benefits that e-commerce technology offers with a very modest investment. Sitrus, LLC is a privately-held software company founded by a team of dedicated IT professionals whose combined software engineering and management experience in finance, manufacturing, government and telecommunication encompasses 78 years. Sitrus believes that Software-as-a-Service model fundamentally changes the way businesses interact with their customers. Customers get engaged in acquiring business services in a new, much easier way, being able to recognize faster responses of vendors to changes in the customer needs. Service providers improve experience of their customers and deliver new and enhanced services without carrying burdens of additional enterprise product licenses and costly efforts of new version deployments in complex production environments. “ProNET” is one of the leading system integrators in Ukraine. For more than 15 years in the IT market of Ukraine, ProNET company have realized 300 complex projects in more than 150 enterprises of Ukraine, for which it has been repeatedly awarded with Honorary Awards and commendations, gathered under it’s banner more than 200 of high quality specialists. ProNET company creates and implements integrated IT solutions that ensure the effective functioning of a customer’s business. IT solutions ProNET are based on the latest information technologies and modern methods of organization and IT asset management business’ needs, including its organizational structure and business processes. Hewlett Packard, IBM, VMware, Oracle, Enterasys Networks, Cisco Systems and many others. 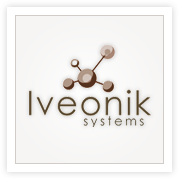 Company Iveonik Systems was founded in 2008 in Dneprodzerzhinsk by German founder and group of mathematicians, who are lead the firm at the moment. The main activities are science-based projects related to the analysis of word-oriented information — such as search, classification, clustering, building automatic annotation, NEC / NER analysis, the automatic construction of a thesaurus. Direction associated with the development of online services in recent years has been developed. As part of the work on these projects, the team learned how to solve not only the problems that are directly related to the writing of the so-called “core”, but also solve the problems of usability, SEO, design. Website design and logo design — the main activities of the web design studio ShiftReset. Company provides a full range of services that help to develop the business of their clients: development of promo sites, corporate websites, online shops and logos. Ordering a website or logo design, you will get interesting options — from standard to wild. As a result the company will provide a solution that will satisfy all your requirements and will be credible and win of your customers favour.